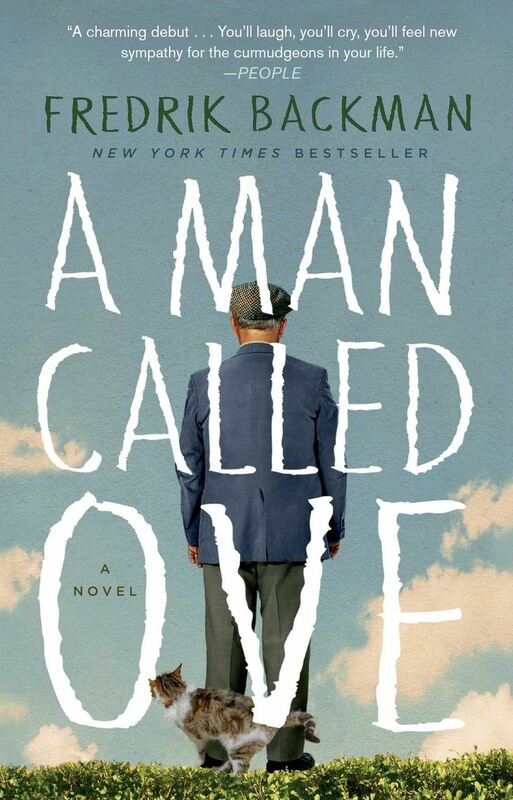 A Man Called Ove, by Fredrik Backman. Every now and then there is what literary scientists call a “book phenomenon,” loosely defined as that moment when everyone in the universe seems to discover a book or author simultaneously. For a few weeks or months, the book is all anyone can talk about and the only one the book clubs want to discuss. Suddenly, every talk show features a slightly nervous-looking writer, who has clearly never experienced anything even close to this level of attention before. A few recent examples of such phenomenons include Fifty Shades of Grey, the Twilight novels, and Gone Girl. After each of those books was published, you simply couldn’t escape any of them. And if you somehow managed to avoid reading them, you were hopelessly subjected to peer pressure at parties and in the office. Whenever someone learned your desperate secret, they would browbeat you: But why haven’t you read it yet? Sometimes, though, book phenomenons can be a little more subtle. Instead of arriving like a thunderbolt and sucking all the oxygen out of every room, they build slowly, creeping in like fog until the whole room is filled with it. The sales numbers for both types of book phenomenons are about the same, but the latter version can be in full swing before you even notice what’s going on. Such is the case with Fredrik Backman’s A Man Called Ove, which—in case you didn’t notice—spent nearly a year on the Bestseller Lists, selling more than three million copies around the world. Fredrik Backman is a young Swedish writer, born in 1981. 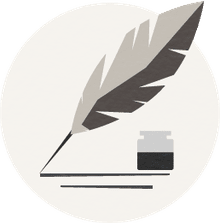 He was a successful, if not particularly famous, columnist and magazine writer who, after dropping out of college, worked as a freelancer until only a few years ago. The idea for his first novel came from a story told by a co-worker about an old man whose impolite outburst was calmed by his wife. Backman’s own wife told him he was like that: Often difficult in social situations until he was guided to a better response. Backman saw the potential for a story about a similar old man. A Man Called Ove is about a curmudgeonly 59-year old widower who lashes out at his neighbors (and anybody else) when they violate his very strict perception of how things ought to be. A few months after his wife passes away, he decides to kill himself, making careful preparations. But his neighbors, who vary from wacky to entertainingly bothersome, continue to interrupt his efforts. He strikes up an unlikely and unwanted friendship with an Iranian family living next door, and slowly he begins to change his mind about a number of things. It’s a delightful story. If you’ve somehow missed the Ove Train and haven’t read this wildly popular bestseller, here are a few reasons you should add it to your Must Read List. Backman had trouble getting this novel published because the main character, the curmudgeonly Ove, is not exactly a charmer in the early goings of the book. He’s incessantly disappointed in everything, dislikes everyone, and spends a lot of time complaining about things that really shouldn’t matter that much, like the kind of car his neighbors drive. Publishers were worried that readers wouldn’t enjoy meeting or spending time with Ove. You might think this would be off-putting or unenjoyable, but something odd happens within a few pages: Ove charms you. You start to realize that Ove is more than just a mindless misanthrope who simply loves to complain; he's a man shaped by a life of disappointment. He’s been conned and ripped off, and when his wife—who was his bridge to other people—is lost to him in a senseless accident, he decides it’s not worth fighting anymore. Just like Ove’s neighbors, you start to feel an unexpected affection for the old man. Sometimes writers come out of nowhere with fantastic novels that touch you and briefly dominate the pop culture world, then go underground for years working on their follow up. Backman is prolific, and already has four novels and one short story collection out (his newest novel is Beartown). Backman says he writes quickly because he’s “high strung.” Whatever the reason, the good news is that if you’re charmed by Ove, you can march out and buy a lot more Fredrik Backman to enjoy, and by the time you’re done reading the other three novels and the short stories there will probably be another Backman book on the shelves for you! Backman is, of course, Swedish, and there are a few particularly Swedish aspects of Ove’s story—and Backman’s other books. But there's no need to delve into another culture in order to appreciate the finer points of the novel. Backman’s story of an aging man embittered by a life that hasn’t turned out the way he expected is universal in almost every way. Just as Backman based Ove’s story on his own fears that he was a bit of a square peg in a round world, and his realization that his wife was crucial to his navigation in the world, we’ll all see a bit of Ove in ourselves, or realize we have an Ove in our lives. After all, who hasn’t judged strangers (or even friends) for their decisions, their purchases, their lifestyles? And who hasn’t felt at least once in a while that nothing in this world is how we’d like it to be? Backman shows how easy it is to become isolated and bitter in this modern world, but also how easily we can be lead back to a brighter, more connected world through simple human contact and affection. Fredrik Backman is that rare writer who understands the relationship between the society we live in and the people we are deep down. His stories focus on people who feel disconnected and lost, but who discover they have much deeper connections to the world and people around them than they think. Everyone shares and understands that fear, that sense of isolation. When Ove discovers that he’s part of a community that values him not in spite of his nature but to a large degree because of it (largely because Ove himself misunderstands and mis-characterizes his own nature), it’s something that we can all understand. That sort of universal story is always worth reading. While A Man Called Ove hasn’t had the fervor and publicity of, say, Fifty Shades or Twilight, its steady sales and never-ending word-of-mouth have made it into a slow-motion pop culture phenomenon. That’s a fancy way of saying that chances are everyone you see on a regular basis has already read this book, and if you want to be part of the conversation you’re going to have to read it as well. It’s already been adapted into a film in Sweden, which was, you may recall, nominated for an Oscar, and the chances that it gets an English-language reboot are pretty high considering its sales, so more and more people will be catching Backman fever as time goes on. Fredrik Backman’s stories aren’t flashy. They aren’t exceedingly post-modern, littered with obscure puzzles, or splashed with terrible violence. They’re human stories and in this age of superhero movies and horror anthology television, that makes them necessary stories. Go check out A Man Called Ove today. You won’t regret it.